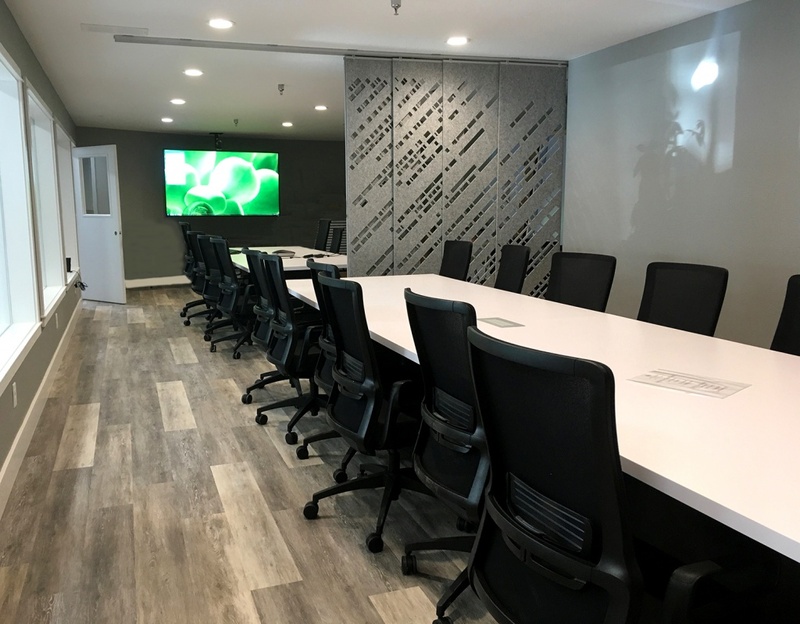 The GNS Community Room provides a venue for nonprofit organizations and public agencies to engage in education, training and collaboration in support of their efforts to improve the well-being of individuals and communities. The Community Room is adorned with beautiful and unique artwork created by our local children. Select pieces are available for purchase as a fundraising partnership with Siskiyou County Schools. GNS is able to make this facility available to the community thanks to the generous assistance of the McConnell Foundation and the Shasta Regional Community Foundation, who helped our dream became a reality. Meetings and events may take place Monday through Thursday from between 8:00 am and 6:00 pm. GNS is closed Friday, Saturday and Sunday. Alternate times or days may be considered on a case by case basis. Organizations that invite or expect news media at the event must notify our Public Relations and Fundraising Manager at least two business days prior to the event. Smoking is not permitted anywhere on the property, including the parking lot. Guide dogs or other assistance animals for people with disabilities are the only animals allowed in the GNS Community Room. The GNS Community Room and GNS restrooms are wheelchair accessible. The GNS Community Room sits 24 comfortably and offers free Wi-Fi as well as state-of-the-art presentation and conferencing equipment. A visual partition can be used to divide the room for smaller groups. Alternative room configurations must be approved by the Public Relations and Fundraising Manager. Presentation and teleconferencing equipment: 80” video screen, computer, wireless keyboard and mouse, conference tables with integrated power and data access, whiteboard, Wi-Fi. Size: 718 sq ft. Conference seating accommodates up to 24. Perimeter seating accommodates up to six additional guests. The Public Relations and Fundraising Manager can provide instructions on the operation of the GNS Community Room equipment. However, the Public Relations and Fundraising Manager is not available to operate equipment or resolve software issues. If additional assistance is needed, the Public Relations and Fundraising Manager can refer you to GNS’s I.T. Company for services. Consultation fees will be at your own expense. Organizations may tape flip chart pages or other materials to the windows, using only removable tape or post-its type flip charts. Please do not write on them once they are on the window. A dry erase board is provided and must be used only with the appropriate markers. Nothing may be taped to the walls. The GNS Community Room kitchen is approximately 125 sq ft., and is equipped with a microwave, sink, dishwasher and refrigerator. All surfaces (counters and floor) must be left clean. Garbage must be taken out to the dumpster on the west side of the building. Please note the kitchen is not equipped for catering. Failure to restore the kitchen to the proper clean condition after use will result in additional charges for cleaning. There are a few restaurants within walking distance or a quick drive from the GNS Community Room. Please inquire if specific information is needed. 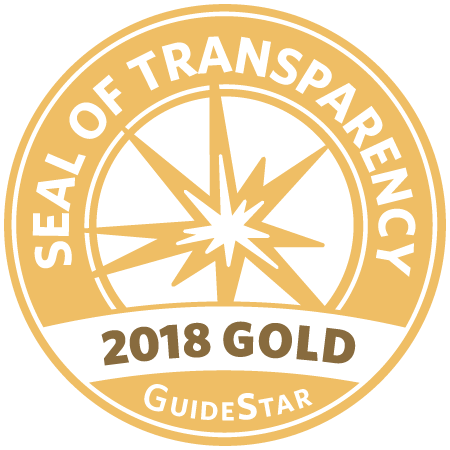 GNS Community Room is available free of charge to 501(c)(3) non-profit organizations and public agencies that support the well-being of individuals and communities. 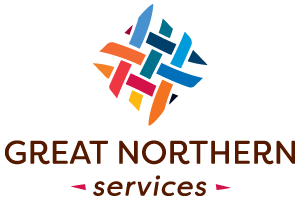 If you wish to make a contribution to offset our maintenance cost, please make your check payable to Great Northern Services. GNS Community Room is available for commercial or private use for a fee of $25 per hour or $200 for a full day. First-time applicants must provide a copy of their 501(c)(3) IRS determination letter to verify nonprofit status. Requests for a series of meetings will be considered; however, in order to allow as many groups as possible to benefit from use of the GNS Community Room, we are not able to commit space for ongoing weekly or monthly meetings. The GNS Community Room is centrally located in Siskiyou County in the city of Weed, easily accessible from Interstate 5 and Highway 97. Take the US-97 exit, EXIT 747, toward Central Weed/Klamath Falls. Our address 310 Boles St, Weed, CA 96094-2575, 310 BOLES ST is on the left. Take EXIT 747 toward Central Weed/College of Siskiyous. Turn left onto US-97 N/CA-97/S Weed Blvd. Ample free parking is available in front of GNS and along the street.